Udta Punjab director Abhishek Chaubey and writer Sudip Sharma discuss their film with Rediff.com's Raja Sen. 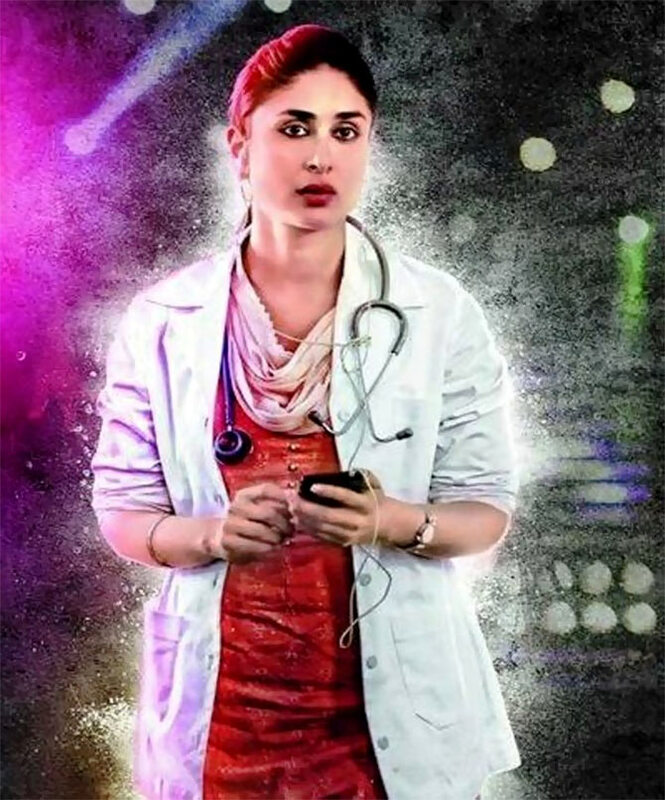 IMAGE: Kareena Kapoor Khan in Udta Punjab. It is this year's most talked about Hindi film. Udta Punjab highlighted the severity of the drug problem in Punjab and got rave reviews, but also made news for the wrong reasons -- after a long battle with the censors, the film leaked online. 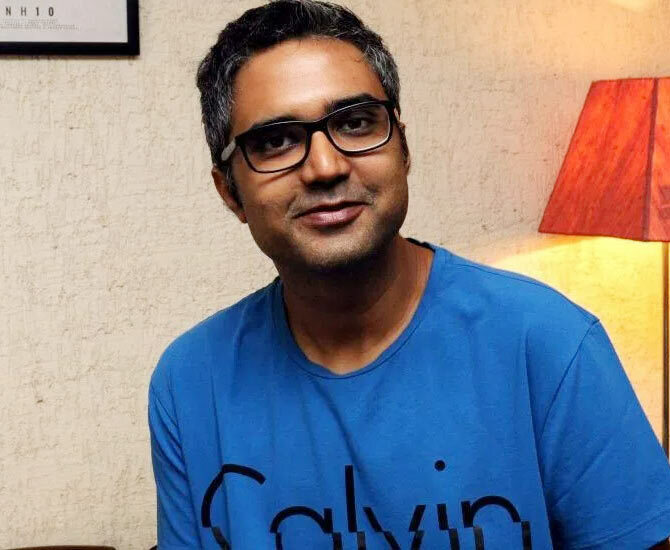 Now, after most people have watched the film, we felt the time was right to publish an in-depth, spoiler-filled discussion between the film's director Abhishek Chaubey, the film's writer Sudip Sharma, and Rediff.com's film critic Raja Sen. In this first part of the conversation, Chaubey and Sharma talk about the motivation behind making the film, the characters, and why they initially conceived the Kareena Kapoor character as male. Raja Sen: Not to talk too much about the whole censorship thing, but given the films you guys you made before this -- Abhishek made two Ishqiya films with subversive sexual elements, and Sudip's last film NH10 was a very violent film that had some censorship issues -- so for a writer today, how much is self-censorship a question? 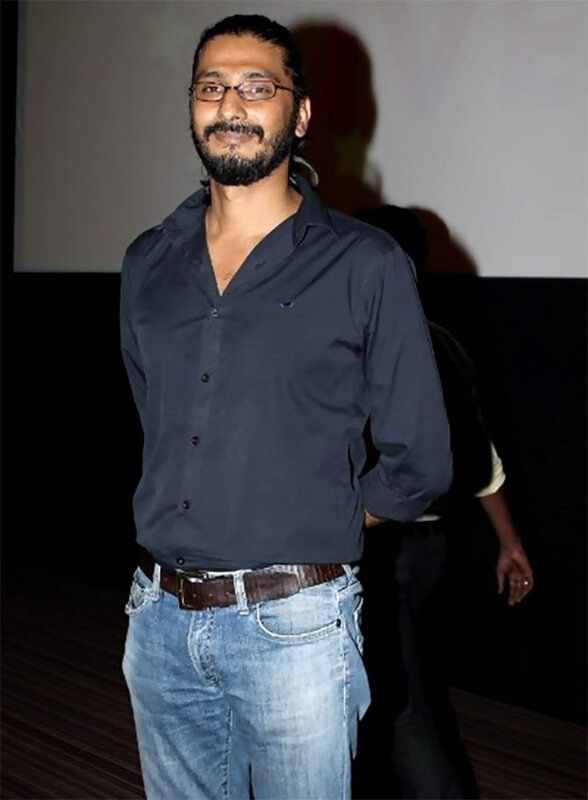 Abhishek Chaubey: It's going to start with us. Sudip Sharma: At one point of time, I was sort of done with the whole thing. I was like, maybe I don't have an internal compass in me which tells me this is right, this is wrong, you should do this, you shouldn't do that. You start doubting it. There is no debate here, it's just clamour... And it's weird to be seen in that light when the film is very different. I was pretty shaken by the whole thing and I just hope it hasn't left any long-term scars. Raja: Sure, but that said, (the film's release without cuts) was a triumph and there is vindication. Abhishek: We wouldn't want to go through what we went through. We wrote this film innocently. We thought ki haan, kuchh hoga, a few people will take umbrage to this and that, but nothing could have prepared us for what happened. Raja: That comes across, and also in terms of the politics of the film, it isn't as people anticipated: it isn't going against one party or one kind of system. In fact, it's less political than we expected after the brouhaha. Sudip: I call both films my age of innocence. It was before my cherry-popping that I wrote those films. It was a period of a year. NH10 came out, and by the time the censor (cuts), happened we were already on set (with Udta Punjab). That's when I started feeling it, because the thing that came back from the CBFC was 'it's an anti-woman film,' 'pro-violence', and you can start questioning yourself. Sudip: Yeah, but it does get harsh. We had to let go of some ground in NH10. There was a bit of violence that had to be taken out, some of the language reduced the impact, things were toned down. The point is, why tell that story if you think it doesn't need that edge? But what was happening this time was far more serious. They were tampering with the DNA of the film. Abhishek: They just wanted to kill the film. Raja: It's a frightening situation, but let's go to the genesis of the film. You had an idea about a drug film. Abhishek: It was a drug film and there was a germ of an idea. I had some idea of the characters. It was a pan-India story set in various parts of the country, and I met Sudip and we spoke about it, and he liked the idea and he suggested that we should situate the story in Punjab. Sudip: I'd read up a bit about Punjab, a few articles. Abhishek: Our story was really made after we saw what was happening in Punjab. Also, the attitude toward the film changed. Earlier it was 'drug film, cool thriller, hipster movie.' That was the starting point, and then we went to Punjab and we said, "Boss!" Raja: As in something needs to be done about this. Abhishek: Yeah, I mean it's a sense of responsibility, and this is bigger than your filmmaking graph. Sudip: What you see there is not your usual Goa hippie drug scene. It's heroin, it's 15-year-old kids, and it's rampant, and you're talking about a billion dollar industry just in Punjab. The lines of de-addiction centres we visited... It's a rather depressing story. Abhishek: Our challenge was to make it accessible and entertaining enough. When we started doing this, back in 2013, nobody was really talking about it. At the national level but even in Punjab, if you opened a newspaper, you would not find that many articles about what's happening in the neighbourhood. And we thought let's make a film so that this is brought to a national scale, so that people start discussing this problem. As it turned out, it already became a national issue because of the elections, and before our release it became a talking point. We really wanted to do this because it was shocking what we saw. We have just addressed the problem. If we really wrote into the film things that we've seen, that would have been pretty nasty stuff. Raja: In the first half of the film -- and this is where we get to what you just said about intent versus filmography -- you start educating the audience about the situation, which almost gets in the way of the storytelling, to an extent. But that was something you were prepared to do. Abhishek: Yeah, we needed to do that. Also, when we make films we are not just making pan-India films, but a lot of filmmakers of our generation are obsessed with whether foreigners are watching the film, whether it is accessible to them. Raja: Absolutely. Years and years of 'sarson ke khet' institutionalised. Sudip: Yeah. So just to break that, we needed that bit of setup. We needed a bit of telling of what's really going on, rather than jumping right into the heart of the story. That might have been a bit too much of a shocker for the audience. Raja: The film opens with that brilliant discus shot. And then you have some moments of whimsy with Tommy before things really start going south. It's a crazy world. So Tommy... did he come in early (as you guys conceived) in the film? Sudip: Yeah, pretty much. One of the characters that Abhishek had discussed was a DJ in Delhi. So once we took the story to Punjab, there they have an indigenous thriving music scene. So Tommy immediately came from there, because all the music there is about chitta (used as a word for cocaine) or bandook or dushmani or chicks. In that sense, it's very hip-hoppy. Raja: Yeah, it's got a lot of that black rapper street-cred yearning. Abhishek: Especially the Chitta part. You don't hear Hindi music when you're in interior Punjab. And we used to drive and we heard four or five popular songs about chitta. Sudip: Half of the music is about chitta. I have 10 songs on my playlist now... We didn't make it up! Abhishek: Alia's character also came from there. The countryside is really beautiful, and you see these farms, and a hamlet of huts in the middle of it. We met some people there, and a lot of the migrant labour in Punjab comes not only from Bihar, but also Himachal and Uttarakhand. So when the idea came of this girl finding a packet of drugs, it made sense that rather than make her a Punjabi kudi to make her a migrant. Because that's another thing about Punjab that isn't seen in movies about Punjab. Raja: She's the only character who is not from Punjab. Abhishek: Yeah. One of the themes in the film was that on one hand, you have two drug users, on the other hand you have two characters surrounded by drug users. That was our idea that these two tracks would work independently. IMAGE: Kareena Kapoor, Diljit Dosanjh and Abhishek Chaubey on the sets of Udta Punjab. Raja: As writers when you try to tell a narrative with three or four tracks, the dovetailing is always tricky because it can often appear too convenient or too contrived. Sudip: It was a bit difficult. It took us a while to really make them come together. Abhishek: Yeah. We wrote the first draft from September to April. Also, we were talking about the third act today, and the third act was going somewhere else entirely. Sudip: (Laughs) It was just bizarre. Abhishek: Yeah, now when you think about it. Preet (Kareena Kapoor Khan) had a secret to hide, and she has political ambitions, and she's taking Sartaj (Diljit Dosanjh) for a ride... And then there was one panicked call in the afternoon. We were halfway through the script when we started changing the third act around. Sudip: Yeah, thankfully we course-corrected. While writing, I figured it's not working. Abhishek: I think there are so many (elements) in the film that it's hard to balance them out, but I don't think both of us can work any other way. We like to crowd the script with a lot of things, we take dangerous risks with tone. If there is room for a joke, we're not going to let it go, man. (Laughs) Deal with the consequences later. Also, real life is a lot like that, so we're okay with it. Sudip: It was a beast to deal with in terms of tonality. Tommy's a different world, Mary Jane is a different world. But that was also the excitement of it: what would happen if these two strangers ran into each other on a muggy night? Raja: In fact I was curious, when I saw the film a second time, if there was ever a version (of the script) where those two characters meet earlier in the narrative. Sudip: Actually, we did think about it. We did try, because once they collide is when the magic starts happening in their stories. But this was as fast as we could do it. Abhishek: Yeah. Even the producers had an issue: Pehle milna chahiye yaar, Shahid-Alia itna late mil rahein hai picture mein, kya hoga. But this was the DNA of this story and we couldn't have had it any other way. This film is really about drugs. Even their romance is not really a romance if you look at it carefully, because it's Shahid and Alia and they're both Bollywood stars it's being seen too much as a romance. It's two characters who meet each other and develop a tremendous amount of empathy for each other because of what happened )to each of them.) It's a human connection rather than a romantic one. Maybe they'll fall in love in the future, maybe Tommy'll come back from jail and in 15 days, he'll see she's from another world and he'll move on. We don't know. These are two characters who are totally lost, so when they're thrown together that connection happens. Because what you're really seeking when you're a drug addict, (being without drugs) leaves a void, an emotional and complete void. When we spoke to rehabilitation centres, it's all about human connection and empathy and love that can get the addict out of that (spiral). Because, physically, you stop being dependent very quickly, but the psychological issues can be resolved only by these things. So in a film like this, which is so dramatic and so out there, this was our way to show that when human connections are formed, it gives you a fighting chance to get out of that addiction. That was why this 'romantic' track was there. Sudip: The Beatles always knew it, right? Love Is All You Need. Abhishek: In our head, woh ho gaya thoda zyada romantic, but it wasn't intended. 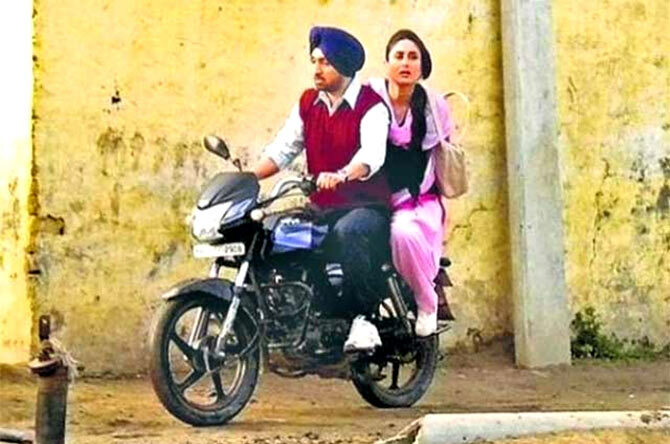 IMAGE: Diljit Dosanjh and Kareena Kapoor in Udta Punjab. Raja: Like Diljit's character, for example, he's your primary character, the hero's journey character. So what were you trying to evoke as you created that guy? Sudip: His story is really the redemption story. Hero's journey waala arc, as you said. And there is, of course, a law-enforcement side to the drug issue that is going on in Punjab. There is some sort of corruption where the character comes from. I remember this one cop we met in the rehab centre. Abhishek: He was in the narcotics department and every now and then he would come across this huge cache of illegal heroin or stuff like that, from the border or whatever. And he was fascinated ki aisi kya cheez hai yaar? Sudip: And he got three kilos of heroin and thought he'd keep some of it and deposit the rest as evidence. And he tries it once, and he really likes it, and in a week that guy is a junkie, and in a year or two years he's either sold it all or consumed it all. He went down the drain and he was in a rehab centre when we met him. So from his story, we took out the addiction part of it -- and that part was given to (the younger brother character) -- and focused on his involvement and then the eventual realisation that I f***** up a life. Abhishek: We should tell him about Gulab Singh. 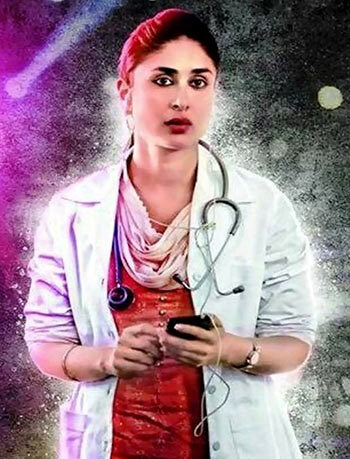 Earlier Kareena's role was that of a male character. Gulab Singh and Sartaj Singh. And Gulab Singh was some sort of activist. Raja: Haan, (after Dedh Ishqiya's lesbian angle) tum typecast ho jaaoge. Sudip: We did run with it for a while. Abhishek: A long while. But then we decided (that angle) would deflect too much from what we were trying to address. Sudip: There is a whole sexual angle to heroin, because it is thought to enhance sexual performance. Basically that's the myth about opium, so a lot of drug addicts in Punjab subscribe to that theory, and we met a doctor who said there is some scientific evidence to this theory. Apparently they tried it on some mice in Australia, and the mice just went boom-boom. Raakhi Special: Bollywood's BEST Brother? VOTE!